With about 153,000 residents, Springfield, Massachusetts is the largest city in western Massachusetts and the cultural, economic and urban center of the Pioneer Valley. Springfield, MA is the 3rd largest city in Massachusetts and the fourth largest city in New England. 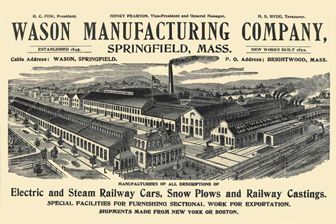 Springfield, MA is located midway between New York City, Montreal and Boston, making it a hub for economic exchange and travel. Springfield, Massachusetts was established in 1636 by settlers who were attracted to the area’s fertile soil and proximity to what would later be known as the Connecticut River. Additionally, the capital of Connecticut, namely the City of Hartford, is located 24 miles south of Springfield. 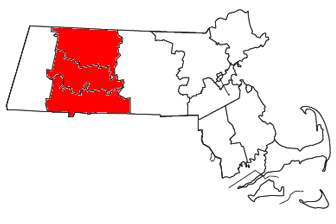 The Hartford-Springfield area is often called the Knowledge Corridor, due to the fact that it contains more than 32 colleges and universities, including Springfield College, American International College, Western New England University, the University of Massachusetts Amherst's School of Urban Design and the Tufts University School of Medicine. These many institutions of higher education provide substantial intellectual capital that fuels the innovation for which Springfield, MA is famous. Springfield, MA has many nicknames, including “The City of Homes,” which alludes to Springfield's beautiful Victorian architecture. It is additionally known as “The City of Firsts” and “The Birthplace of Basketball” due to the many innovations, including basketball, which originated in Springfield. 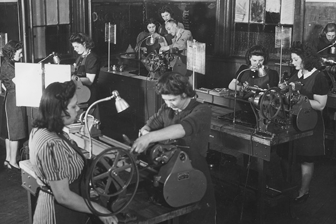 The city also published the first American-English dictionary, had the first use of the assembly line in manufacturing, ran the first car on gasoline, and had the first commercial radio station in America. Our Springfield Car Accident Lawyer Experts Are Available 24/7. Please Call Our Springfield, MA Auto Accident Wrongful Death Attorney Specialists at 617-787-3700. Our expert Springfield, Massachusetts car accident lawyers and Springfield, Massachusetts wrongful death lawyers are honored to represent residents of Springfield, and have represented many Springfield, MA auto accident victims over the past 25 years. Our lawyers look forward to helping you in any way they can. Please call our seasoned Massachusetts auto accident personal injury lawyers at 617-787-3700 or email our Massachusetts car accident personal injury attorneys at info@gilhoylaw.com. The Law Offices of Gilbert R. Hoy, Jr. and Affiliates is a Massachusetts plaintiff’s auto accident personal injury law firm, representing Massachusetts residents injured in accidents through no fault of their own. Our personal injury attorneys handle all types of Springfield, Massachusetts car accident personal injury claims. Our Springfield, Massachusetts car accident injury attorneys and Springfield, Massachusetts wrongful death attorneys understand the issues that all accident victims face, including receiving proper medical treatment and getting fair compensation for their injuries and losses. Our Massachusetts personal injury attorneys have been helping and assisting Massachusetts accident victims for over 25 years. Our Massachusetts motor vehicle accident lawyers are devoted to providing clients with an incomparably superior level of service. With the litigation experience, knowledge and skill of our Massachusetts personal injury lawyers, combined with our unwavering devotion to our injured clients, our Massachusetts personal injury law firm produces consistently excellent results. Our fee agreement shows our dedication to you – we only get paid when you recover money. Please Call Our Springfield Car Accident Lawyer Advocates 24/7 at 617-787-3700. Our Springfield, MA Auto Accident Wrongful Death Attorney Experts Are Just a Phone Call Away. Your Needs Are Our Top Priority!